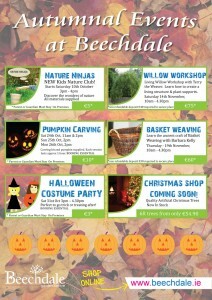 Our exciting new kids nature club ‘Nature Ninjas’ launches on Saturday October 10th. A fun way to learn about nature, enjoy some crafts and meet new friends. The Nature Ninjas Kids Club runs from 3pm to 4pm on the second Saturday of each month. 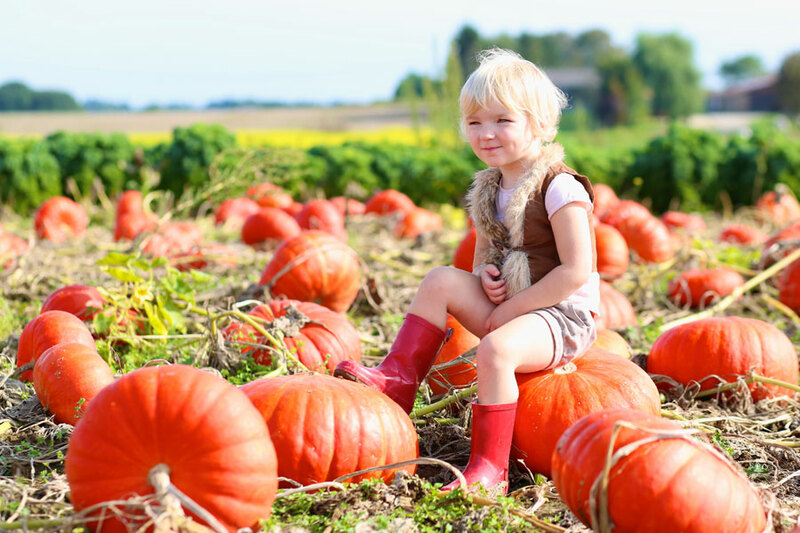 Admission is €5 per child with all materials provided. Our October theme will be hibernation and we will build an insect hotel whilst learning about the different hibernation habits of our wildlife and simple ways that we can help keep our wildlife cosy this winter. 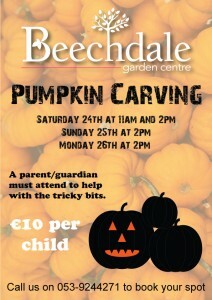 Carving kit and pumpkin supplied. Each session lasts approximately 1 hour giving you the chance to create something that will spook all your friends this Halloween. Halloween Fancy Dress Costume Party! 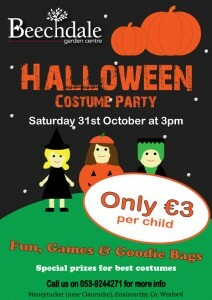 Our childrens’ fancy dress costume party will be held on Halloween evening Saturday 31st October from 3pm – 4pm. We will have lots of games and freaky fun for the kids with prizes for the best costume. Entry costs just €3 per child. This is guaranteed to get them hyped up for their trick or treating afterwards. 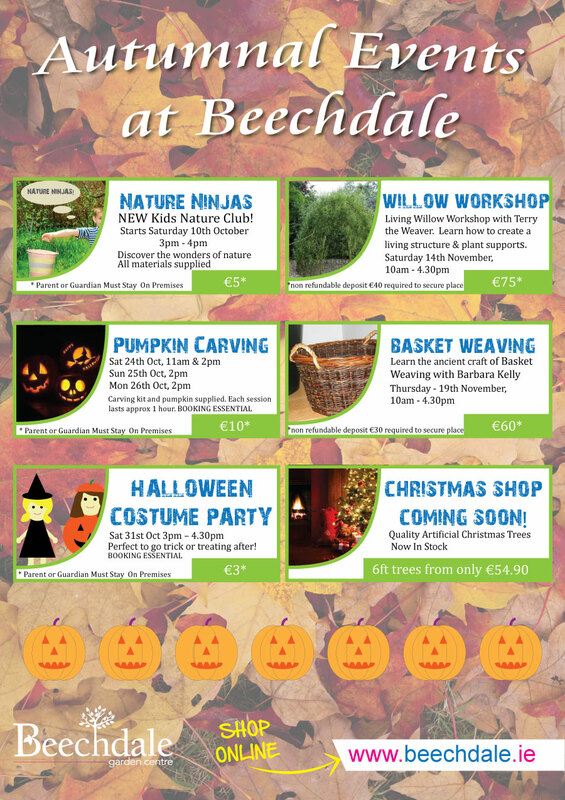 We are holding two workshops this November both of which are limited in spaces and booking is advisable. We will have Terry the Weaver here on Saturday November 14th showing us how to create a living willow structure plus he will be showing us how to maintain and care for our willow once created. 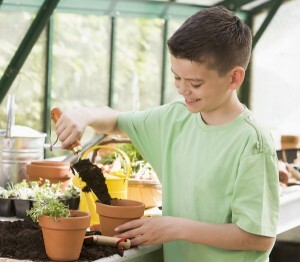 Each attendee will also learn how to create plant supports that they can bring home. Always a popular workshop, basket making is an ancient skill used by generations and still highly sought after, especially by those interested in survival skills or foraging. Join local craftswoman Barbara Kelly on Thursday 19th November who grows a variety of willow which is then harvested and seasoned to use later in traditional baskets and contemopary sculptures. Each attendee will learn how make their very own basket to bring home. 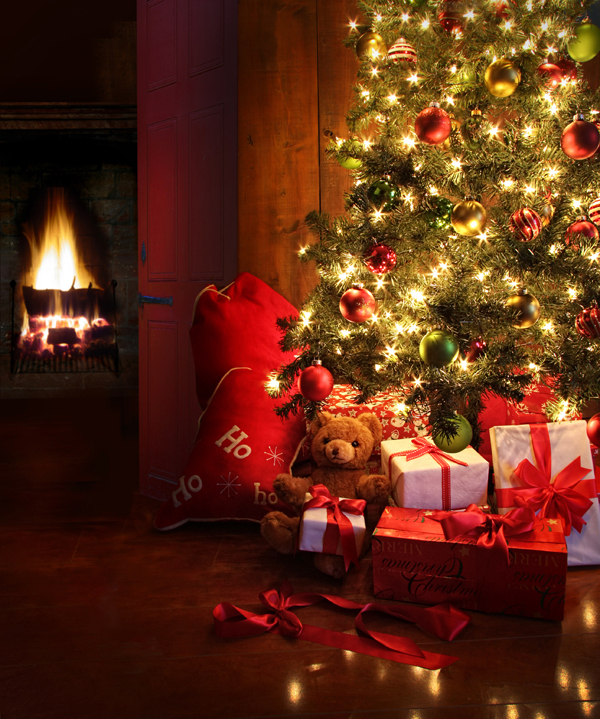 Our Christmas stock is arriving and our Christmas Shop will be open soon with lot’s of truly gorgeous festive decorations and ornaments to make your home the epitome of Christmas cheer! Every year at our Christmas night we have an inhouse Christmas flower decoration demonstration – details to be confirmed so please do check back! 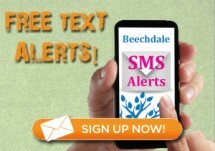 Christmas really wouldn’t be the same without the jolly red suited man himself and our Santa visits at Beechdale are always very popular – Check back soon for more details on when Santa will be visiting Beechdale this Christmas!